If you're still waiting for that Android Wear 5.1.1 update, don't worry! It's coming. Eventually. Probably. We hope. It might even be coming very soon now (really! ), because Google's posted an update on its product forums officially announcing the update there. That post also contains the same list of Wear devices getting Wi-Fi support in the update that we'd seen previously, and it's unchanged. The Moto 360, Sony Smartwatch 3, and Samsung Gear Live will all get Wi-Fi. The Watch Urbane ships with the feature out of the box. Sony confirmed this a while back, as did Motorola. Samsung never issued a comment that I can locate. The G Watch, ZenWatch, and G Watch R are not in the Wi-Fi list, but will get Wear 5.1.1. 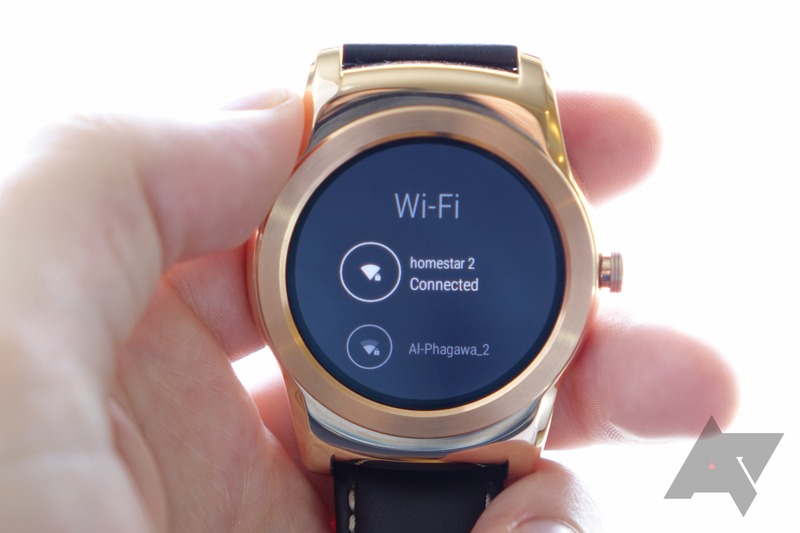 However, LG has confirmed to us that the G Watch R may or may not get Wi-Fi in a future update. At this time, LG is unable to commit to a yes or no answer. According to LG, additional certification and other work is needed before Wi-Fi can be activated on the G Watch R, and they're unsure if it's going to be possible to get past these roadblocks. We'll update you if we learn more there. G Watch and ZenWatch probably just won't ever get it, as neither allegedly has the complete set of necessary hardware to use Wi-Fi.